So I picked up a 25-06 predator a few months back and love the way it shoots. It shoot as good as my custom guns but with factory ammo. But the problem is I hate the stock. Is there anything in the works for an aftermarket stock besides a B&C? I put 3 PVC tubes in my stock and then filled around them with a lb of Rockite. Feels a lot better now. Didn't want to spend more on the stock than I did the whole gun. I like it for the $8 I spent on it. Also added cheek pad. I am waiting for the Magpul. Some folks hate the way it looks tho. I think it looks awesome. It is supposed to be out in the next few months. I feel kind of silly putting a $300 stock on a $400 gun but I love everything about the gun so I am going to go for it. I want them to make a **** long action stock for the american. I was also curious about that. I guess it is a numbers thing........ I would imagine the aftermarket stock manufactures found out how many long actions have been sold and it must have been much lower than the short actions. It must not be financially feasible for them would be my only guess. I'm in the same boat. Trying to figure out if I want to put some love into the factory stock, or go aftermarket. I am not exactly in love with what the aftermarket is offering at the moment... 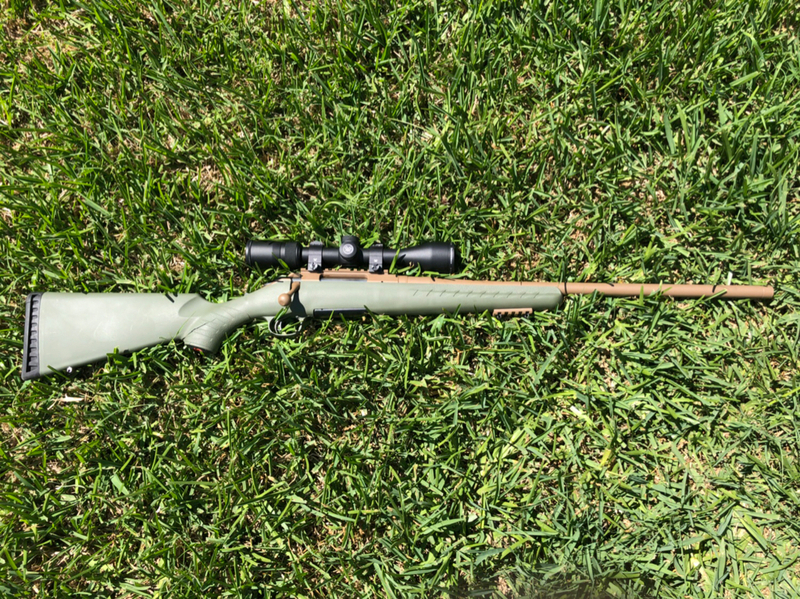 I could really go for a dark green/black synthetic stock that is just basic. Hunt In: 20 minutes from the house! It literally takes 20 minutes to fix the stock. An 1/8” drill bit and some rockite is all you need to do to the fore end. Assuming it’s free floated. If not, add another 10-15 to wallow out the barrel channel. I also added rockite in the buttstock after setting a couple of pieces of 3/8” tubing to put a cheek riser bolts through. Made my riser from some kydex. It’s heavy and stiff now. Spend $150 on a Boyds laminate stock, bed the "V Blocks" and you are good to go. I have 2 Boyd's stocks and they are great. I recently bought another Predator and plan on getting the Magpul stock but until it comes out I have made modifications to the original stock to make it stiffer and heavier for now. 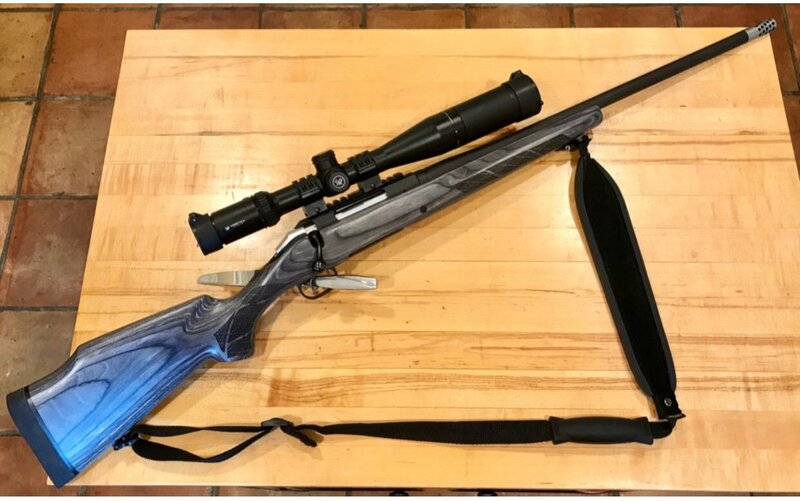 Bell and Carlson does not offer anything for the Ruger American Predator at this time, I emailed them last night and they just got back with me. I thought the only difference with the predator was the barrel inletting. That's and easy fix. Put a Boyd's on my son's but be aware it will add weight. Added a Bradley Carbon Fiber adjustable cheek riser.... and love it. Even got it in green to go with existing stock. I am pretty sure just about all of them will add weight since the factory one is so flimsy lol. That's no joke. It drives me crazy every time I drop it on a rest and you can hear the barrel touch the stock. But you pull down and shoot and it's almost a 1 hole gun!! 1st pic is trying to get it sighted in. 5 shot. 2 outside the black then 3 in the black. Second pic was after the gun getting beat around in the calling rack all night on gun rack. 3 shots there. Wow. Have you taken a Dremel to the stock yet? Mine was just slightly rubbing at the front with no pressure on it. I spent 15 minutes with the Dremel to remove quite a bit of material. Most of my time was spent on the front of the stock but I did remove a little bit of material from the sides along the entire length of the barrel just in case the stock flexed that much. Mine shoots lights out and I consistently hit foxes which are pretty small so if I have variances like you show in your pictures I would miss frequently. 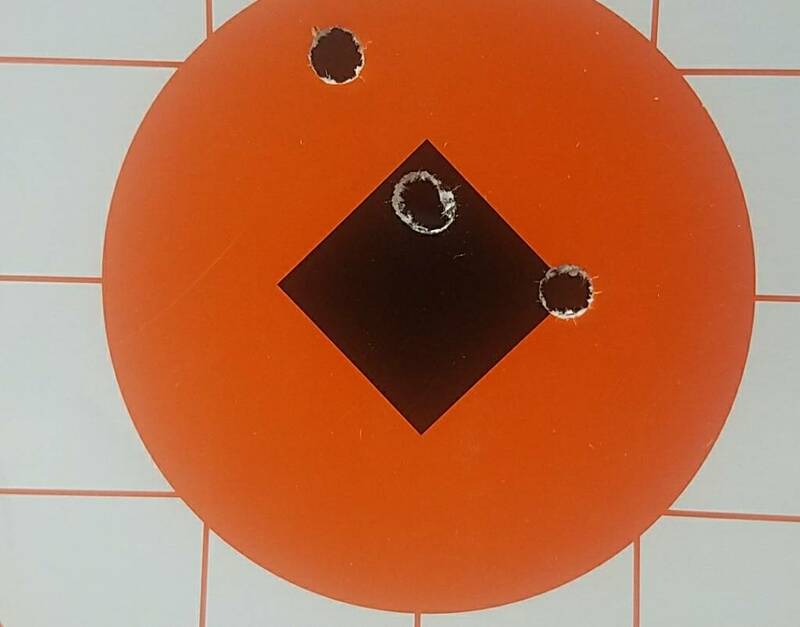 No sure what variances your talking about the 1st picture was the 1st 5 shots out of the gun. The 2 fliers were getting it in paper then it drilled 3 shots. 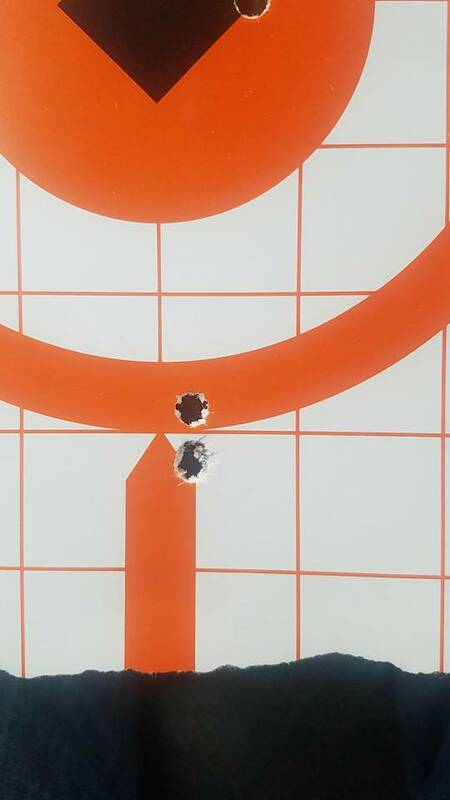 The other picture is shooting at the the point of the orange 1st shot was cold bore with a bad rest. Others were all in one hold. 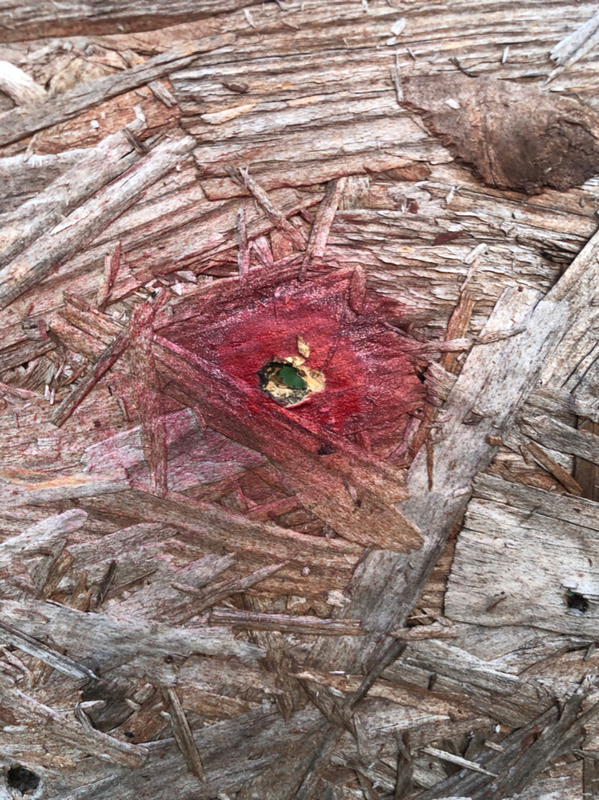 That gun killed a coyote at over 300 in the noggin with a rest off the pillar of a ranger. It has also taken out lots of fox in the 350 plus yard range. It shoots as good as some of my $1500-$2500 custom builds. I just hate the feel of the cheesy stock! I have the aforementioned MDT LSS Chassis System-Ruger American Short-Right-Black. They're $400 new and it has never been used, will take $300 if anyone wants it. Feel free to PM if interested. I apologize, I misinterpreted your post. I agree with you on the accuracy of the gun as I am very impressed with mine, especially for $350. Is it baloney that they market this gun as a free floater when the stock is coming in contact in several places from the factory? Yeah but then again it is a 350-400 gun so you take the bad with the good. I personally do not have an issue with the stock. It is flimsy? Yes. Does it hit the barrel since I did some work on it even when I put some pressure on it? No. I am just glad it shoots so well. The only reason I am going to get the Magpul stock is because I like the way it looks. I tried the magpul on a rem 700. I wasn't happy and sold it. But then again I think the magpul was designed for tactical style shooting. I'm more of a sendero type stock guy. It just didn't feel right. I would plan on ordering a zero rise cheek piece for it as well. If it shoots that good, why change anything? Because I am a D bag and I think it looks cool....... lol. Cause it feels like a nerf gun! How well did it fit? They always say modification my be needed to fit right. 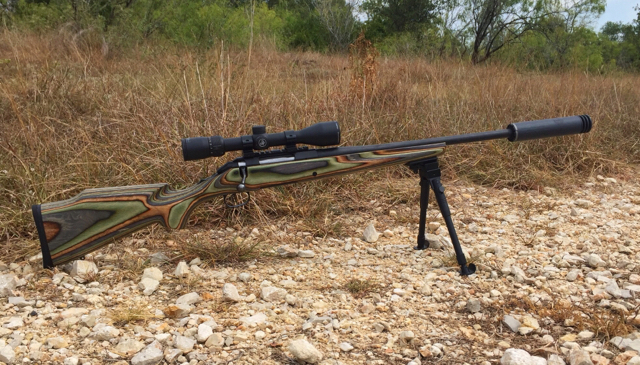 Is there plenty of room around the barrel channel for the predator profile stock? I just gave mine a spray job, and added some weight to the front of it . she shot out to 800 first time out and has taken animals out to 300. sure stock is cheap but gun shoots better than any gun i have ever owned. I did fiberglass bed the v-blocks. I also did sand the barrel channel a little to make sure nothing touched. Just used sand paper and a wooden dowel. It was nothing that was hard to do, I am definitely not a gunsmith by any means. At first I was going to have a gunsmith fit the stock to the gun but they wanted almost as much as the rifle cost. With this be a "budget" gun for me that I want to keep well under $1,000 all-in I decided to try it myself and it worked great. I am sure a gunsmith would have done better but not worth it for me on this gun. Im just gonna have to order one I guess. Been stalling court but it seems?like the best option right now. My Ruger shoots too well to worry about changing . As a tool, it does the job better than most as is. I think the Krylon was the key! I do way to much predator hun ting with this one to ignore it. It's just not comfortable to shoot with the factory stock. I use mine a bunch for pig hunting. The stock seems cheap and flimsy, but is light and fits me. I just bought a T/C compass in 6.5, and the stock seems equally cheap. Hope it shoots as well! What brake is that? Looks Great on that predator. That looks great! Y’all are making me want to switch mine out. Still waiting on mine from OpticsPlanet.com.... going on a 6mm Creed. Did you just screw it on or do any bedding? Let us know if it improves the accuracy. I went magpul on my 6.5CM and just screwed it on. It comes with vblock inserts. Does the factory mag work with the Magpul stock, or do you have to use Magpuls? Where did you get the bolt knob?